The Down Syndrome Association of Central Texas (DSACT) would like for you to know that you are not alone. As parents, we understand how difficult it is to hear the unexpected news that your baby might have Down syndrome. We offer a safe place to turn to where you can share your feelings and fears with people who have been there. We will reach out to you with compassion and care and will not judge. There is no right or wrong way to react to a diagnosis. You may experience intense emotions at first: shock, dismay, fear, or anger. These emotions are perfectly normal - as are many more! Some expectant parents consider adoption as an option. Many are quite encouraged to learn that there is actually a national waiting list of families wishing to adopt a baby with Down syndrome. Other expectant parents are sad at first, but they make plans to welcome the baby into their lives by gathering information and making adjustments during the pregnancy so that the birth will be a joyous occasion. Wherever you find yourself this moment, please know that we care and we will try to meet your needs for information and support. Our experienced parent liaisons can answer your questions and provide a realistic picture of raising a child with Down syndrome. We are also available to visit on the phone, in person, or by email. We provide excellent information packets. 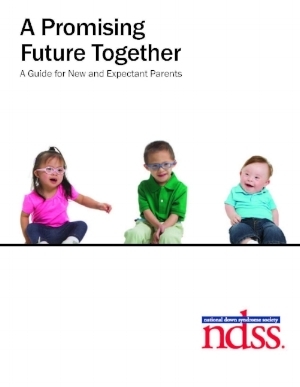 The DSACT new parent information packet is available at the right side of this page. If you are interested in talking to another parent, please call us at (512) 323-0808. Baby Talk is a DSACT group for children with Down syndrome between the ages of 0-2 years as well as their parents and siblings. We also welcome any expecting parents to join the group. Baby Talk meets bi-monthly at a variety of locations. If your family is interested in joining in on the social activities, please become a DSACT member and we will be in touch!